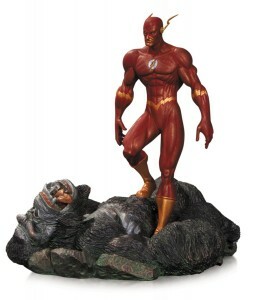 The Flash defeats one of his oldest arch enemies — Gorilla Grodd! Gorilla Grodd first appeared in The Flash #106 (May 1959), and has been causing trouble for Flash ever since. Presented with a patina sheen, this statue measures approximately 6 .75 inches tall. 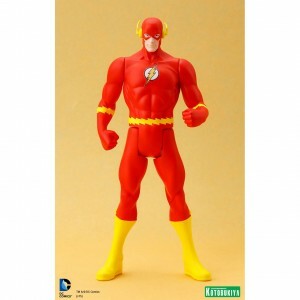 Add this classic battle to your DC Superheroes display shelf today!